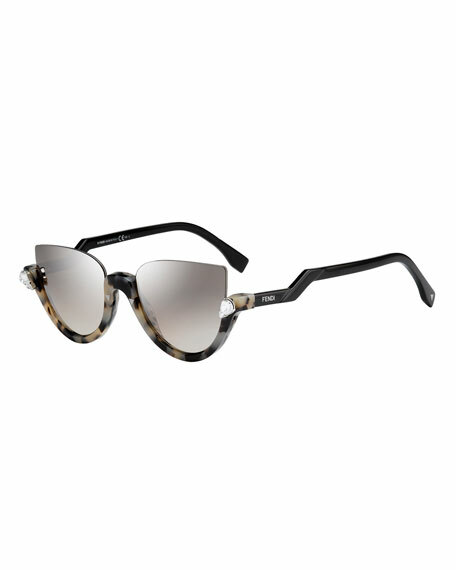 Prada cat-eye sunglasses in acetate with metal detailing. For in-store inquiries, use sku #1825385. 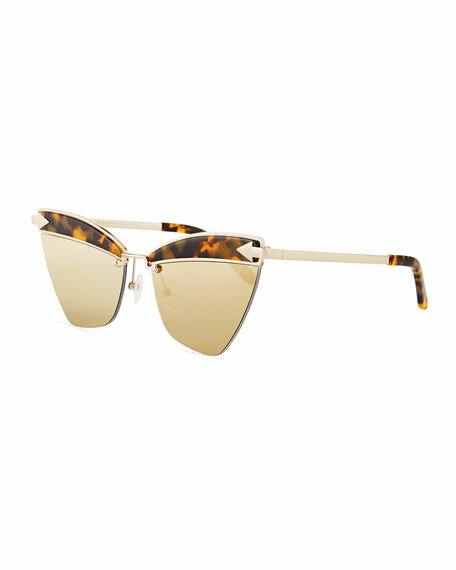 Karen Walker "Sadie" cat-eye sunglasses in plastic and metal. Lens/bridge/temple (in mm): 59-16-145. 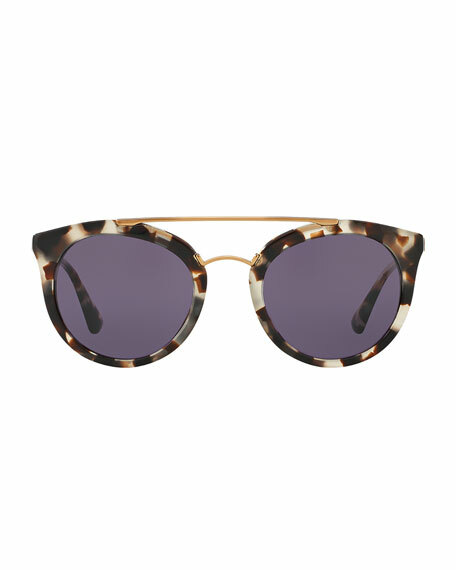 Geometric monochromatic lenses. Contrast detail at brow. Signature arrow detail at frame front. Capped earpieces. 100% UVA/UVB protection. Can be fitted with prescription lenses. Imported. 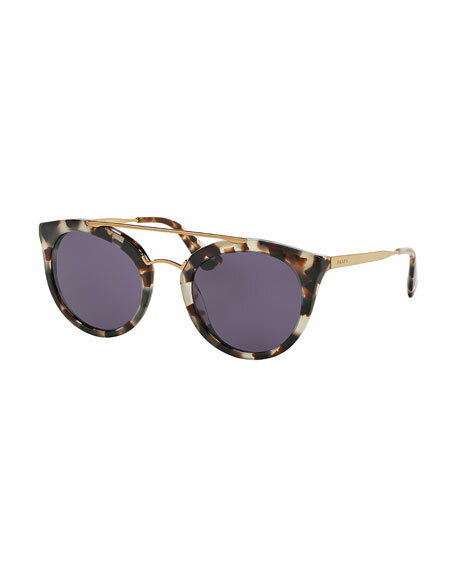 Karen Walker "Sadie" cat-eye sunglasses in plastic and metal. Lens/bridge/temple (in mm): 59-16-145. 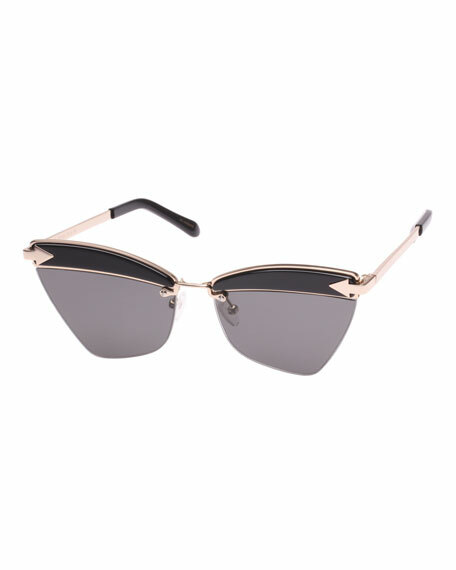 Geometric mirrored lenses. Contrast detail at brow. Signature arrow detail at frame front. Capped earpieces. 100% UVA/UVB protection. Can be fitted with prescription lenses. Imported.